Is the British solution to the ‘sitting disease’ and low productivity to put the kettle on? We’ve heard a great deal about the key challenges of the danger of sitting down too much at work and low UK productivity. The solution appears to be that popular British answer to all ills, to put the kettle on. New research by an appliance company ApplianceDirect found that 87 percent of British workers believe that regular tea breaks aid their productivity. It also pulls them away from their desk as they’re spending on average 109.66 hours annually making themselves a drink while having a break from their desk or workstation. In the research, which looked in to workplace eating and drinking habits, respondents cited the optimum tea break time was seven minutes, and they also believe they should happen on average four times per day outside of lunchtime – totaling 28 minutes per day. Despite the rise of coffee culture, the data also revealed it’s still the great British cup of tea that tops the poll for workers as 56 percent say it’s their hot drink of choice. Coffee came in second place, with 38 percent of the vote. 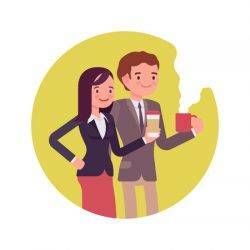 Mark Kelly, marketing manager at AppliancesDirect.co.uk comments: “The data revealed some interesting findings about the nation’s workplace break habits, and it’s great to see so many Britons are taking regular breaks throughout the day to grab a drink. “Whether you work at a desk, in a shop or a factory, or on a building site, getting away from your workstation for a few minutes at regular intervals is likely to aid productivity as it allows you time to stretch your legs and gather your thoughts before heading back to it. Those who work in professional services spend the most time on tea breaks annually, racking up 141 brewing up hours, compared to those who work in Healthcare who spend the least – just 23.5 hours per year – on tea breaks.